If you’re anything like me, you’re flat-out tired of getting less than the BEST for your money. Oh man how I hate when I feel the frustration of having to pay too much, or getting horrible customer service. Honestly, it makes me feel all boiled up inside when I feel like I’m being taken advantage of in any aspect of my life. These days it doesn’t happen as often as it used to; I chalk this up to me being a more informed consumer and the years of the screaming from the consumers being heard by companies. Nowadays we see companies lowering prices here and there but it’s not a perfect world. The perfect scenario in my mind would be one where a company listens to its customers and makes radical changes in response. 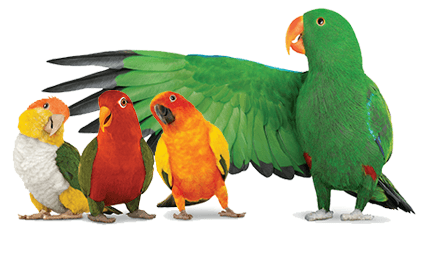 As a customer of Telus for over 20 years (blushing) I’ve seen them listen to the cries of telecom users. They’ve invited me to be a part of #TeamTelus which is 15 Canadians who are granted inside access to share with the world. One of the things that I wanted to tell you all about was Telus’ Expect More philosophy. In 2014, the Commissioner for Complaints for Telecommunications Services received 11,340 complaints…all from people like you and I who were frustrated! This isn’t shocking news really, if I want to see a reflection of this I just have to go to social media and complaints scroll down my screen. Telus had been noticing this and devised an entire culture because of the dissatisfaction. This doesn’t mean that Telus is done streamlining…they say that they are calling out to Canadians to EXPECT MORE and they will continue delivering more! Spotlighting Team Members: Telus features its team on the Heroes of TELUS blog series. Here you can get to know some of the team members who are committed to being more engaged with consumers and their needs. Telus is using social media to reach out and acknowledge dissatisfied telcom customers in a BOLD way. If you go to the Telus Facebook Page you’ll see interactions which are certainly different from we’re used to seeing from a company facing complaints. Telus is joking with its customers, providing information and not shying away from public complaints…they are openly discussing and offering resolutions. As a long-term customer, it’s a pleasure to hear all of the efforts Telus is making and to witness it on social media. Fact is, we SHOULD expect more from the companies we purchase from and it’s refreshing to see one who is paying attention! Disclosure: I am a member of TeamTelus, this is a sponsored post. All opinions are my own.